Highest quality Cake Cardboard Drums, foil wrapped around all edges for a premium appearance. A unique manufacturing process in which the foil is "wrapped over the edge" of the cardboard eliminating the unsightly raw corrugated edges. 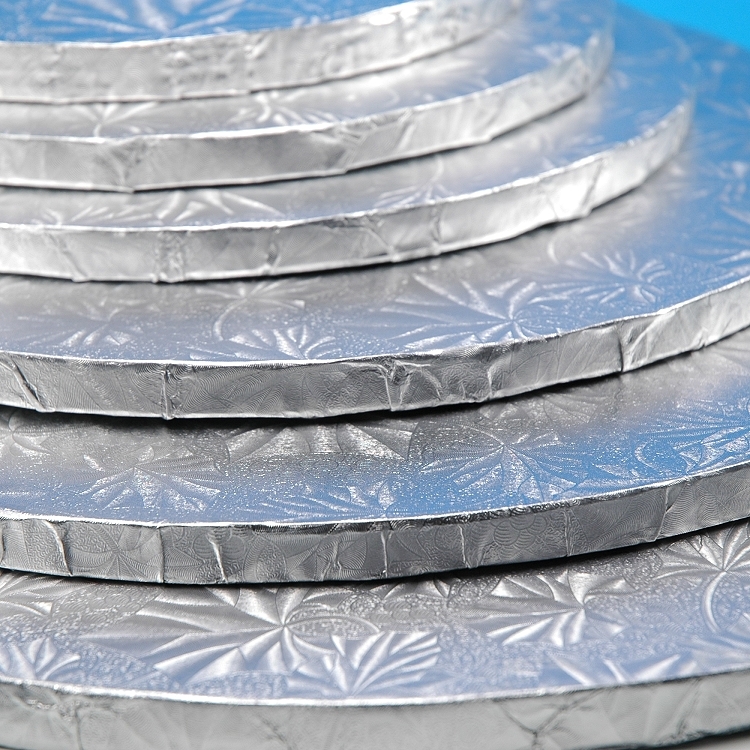 Provides a clean edge appearance designed for "Premium Style" cakes and bakery items. Traditionally used for Wedding Cakes that demand superior appearance and require additional support. Ideal replacement for hand-wrapped & ribbon laced boards. Eliminates the need to "double or triple up" your cardboards to obtain the necessary strength. Provides superior strength which eliminates warping. 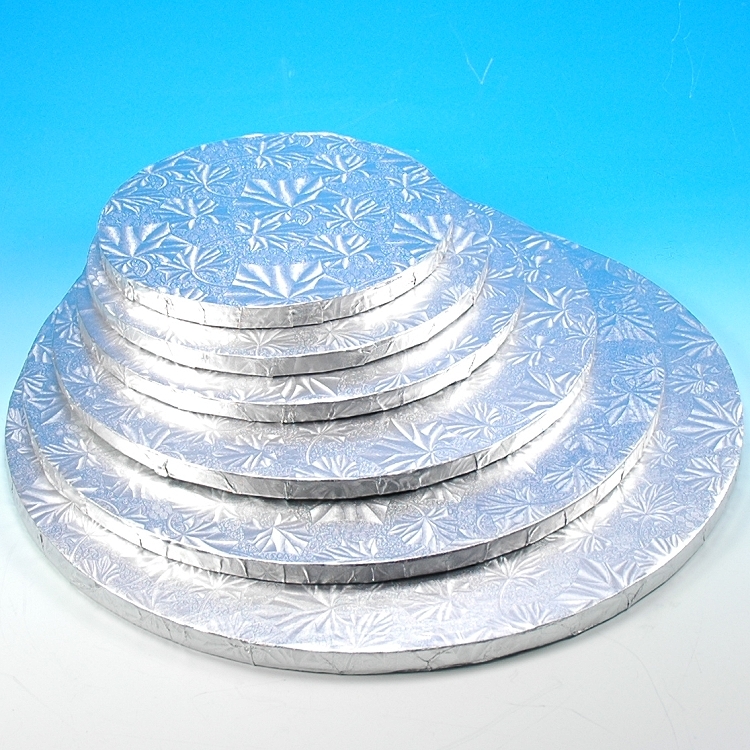 Reflective Silver Embossed Leaf Pattern. Provides a user friendly, attractive board that showcases every cake. Provides a moisture and grease resistant base for cakes.